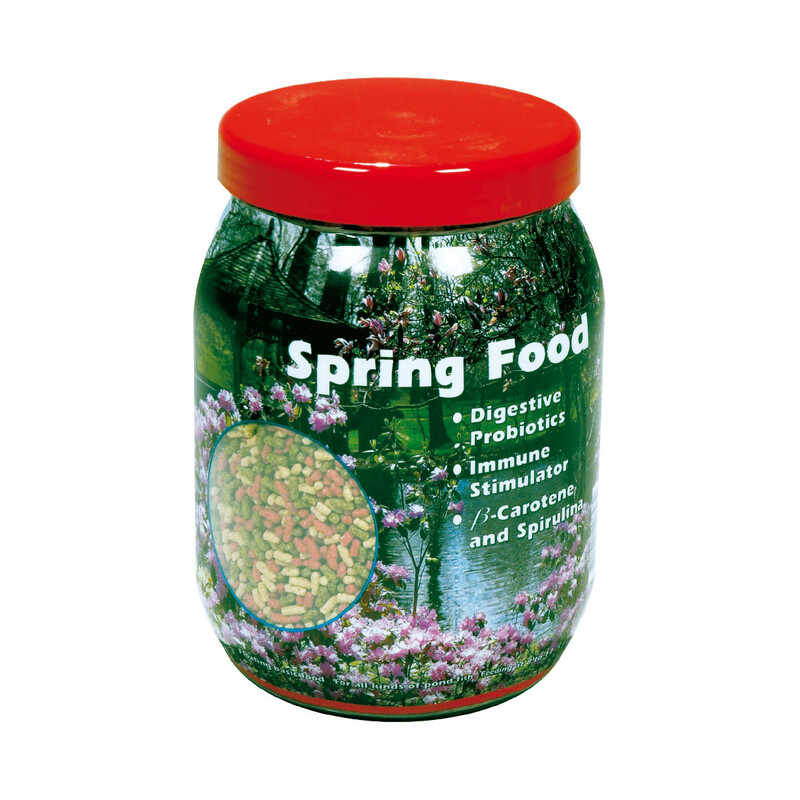 Velda Floating Spring food, the ideal food for the spring months. The feeding habits of fish depend on the temperature around them as their bodies adapt to the different temperatures they experience. As winter passes and spring approaches the fish are in need of energy boosts. Using the Spring Food gives them all the nutrients needed in order to stimulate their metabolism and increase their immune system as well as give them the needed energy boost. The food can be used at water temperatures between 8 to 12 C. It is suitable for all fish types like goldfish, gold orfes and koi.